Queen Anne's Revenge Press: Blue: The far becomes near, and they are not the same thing. Blue: The far becomes near, and they are not the same thing. Henry Bosse, From the Bluffs at Fountain City, Wis. looking upstream, 1885; cyanotype. "There is an album of oval photographs made sometime in the late nineteenth century by a man named Henry Bosse. All the pictures are of the upper Mississippi River, and they are all cyanotype blue. At first, they seem to portray an enchanted realm, the river once upon a time, but Bosse was working with the engineers, who were strangeling and straightening the river, turning it from a meandering wild thing with islands and eddies and marshy edges into something narrower and faster-flowing, a dredged, banked stream for the rapid flow of commerce. 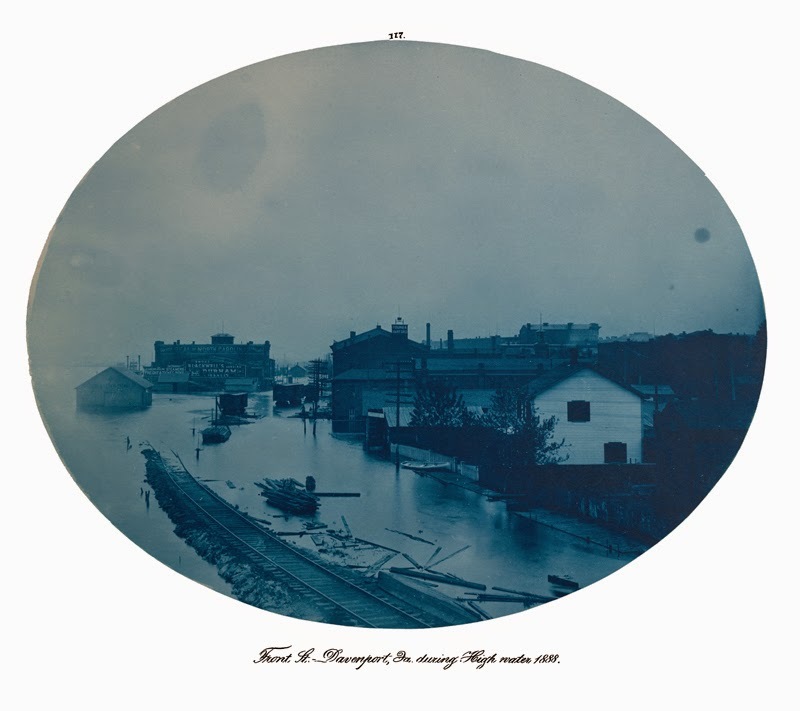 They made wing dams, out croppings that trapped sediment and erased the natural edges of the river, dredged it and locked it, but Bosse's pictures are more beautiful than documentation and engineering require, each one a cameo of blue, blue all the way to the foreground of blue railroad yards and blue bridges under construction. But in this world we actually live in, distance ceases to be distance and to be blue when we arrive in it. The far becomes the near, and they are not the same thing." I have spent some time thinking about the color blue. I painted my childhood bed room blue. I gave my daughter the middle name blue. And I mix blue ink over and over again.